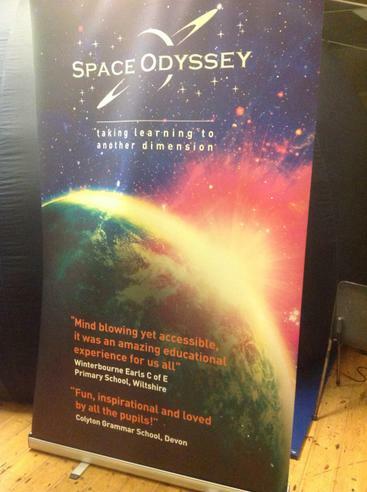 To enhance what the children have been learning about 'Space' as part of our whole school topic this term, we welcomed 'Space Odyssey' to school today. 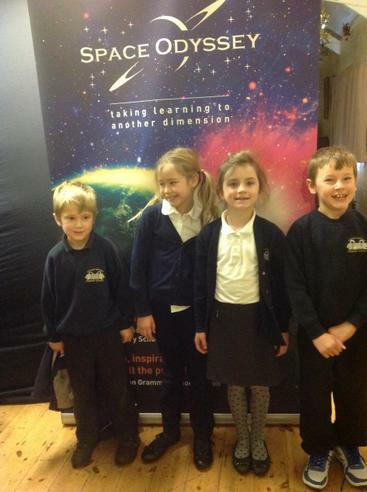 The 'Space Odyssey' mobile planetarium gave the children a wonderful 360 degree, 3D digital dome experience. The multi-sensory activity was tailored specifically to the learning needs of each key stage and was greeted with great enthusiasm and delight from everyone, adults and children alike! Our favourite comment of the morning had to be from Elena in Year F who, when seeing the dome for the first time said, "Oh wow!, this is awesome!". 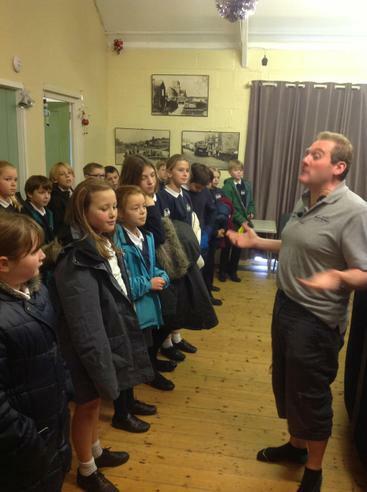 We would like to say a very big thank you to Simon Ould from 'Space Odyssey' for sharing his enthusiasm about Space with us and making this such a great learning experience for the children.